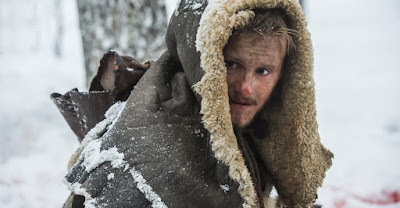 At first, we see Bjorn struggling in the wilderness, for a long time he is only able to see snow after a while he finds a wooden uninhabited house. Floki got escaped from his imprisonment in the middle of the centre of Kattegat. The first thing what came up to me was it is a game between him and Ragnar but when Ragnar gives the order to get him arrested again I knew right away it wasn't Ragnar who let Floki free. Helga did we later find out. We see Floki on the run and Ubbe who already leads an army to arrest Floki again. Ubbe didn't arrest Floki he would be okay with it. He still isn't to pleased with the situation Floki has accomplished. The only fun he gets from it is that Ubbe arrested Floki and he is just a child. 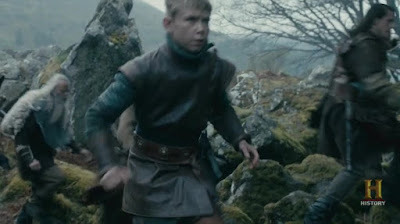 In Wessex, we see also change they are training a big army to try to defeat Ragnar when he is coming back to Wessex. Eckbert gets his scouts heads back in a coffin. Eckbert and Aethelwolf tell a few people who Kwindrith and Magnus are in a tower captured. 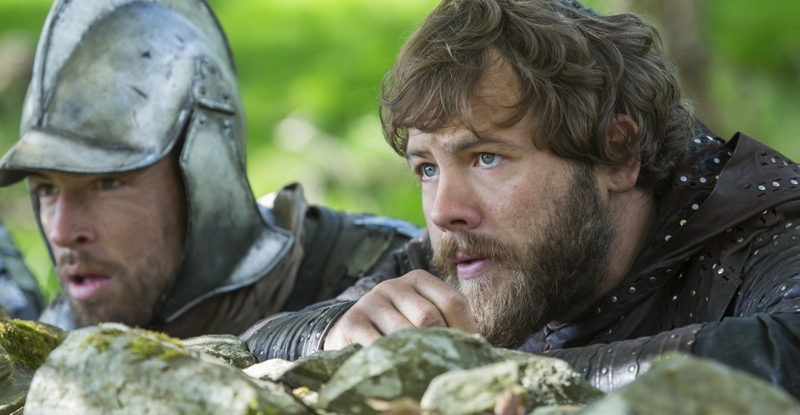 Eckbert wants Aethelwolf to free her from that place. His dad is against but Aethelwolf decides he is going. Eckbert orders him if Kwindreth couldn't be saved then he needs to take Magnus with him. While Aethelwolf is leaving he is bullying Judith because the last time he came back she gave birth to the child of Athelstan. Ragnar goes up to Helga to find her and Angrboda both have nothing to eat and it is winter so Ragnar gives them food. The thing is what people are asking on Facebook in groups I have joined "Did Ragnar poisoned the food?" My answer to them is if Helga didn't eat it could be poisoned, but in my opinion, she did eat the food that brought to them. If Ragnar poisoned the food she was dead as well so then didn't Ragnar poisoned the food at all. The scene later when she is digging a grave for Angrboda I saw something happen between Ragnar and Helga. They both lost a child, they both suffered in the same way by the decisions Floki made. Floki is bound in the cave. Not in the centre anymore. Floki needs to suffer. This looks like the bounding of Loki but there is a difference. Floki is standing, Loki is lying. Floki dressed like Jesus the only difference with Jesus is that he crucified. Both Loki and Jesus have suffered for their deeds like Floki suffers for what he did. They choose for the combination both Pagan and Christianity to punish Floki. Is Judith going for a trap set by her father in law or is she the one who will set the trap and is going to pay a big reward for. Eckbert is selling her freedom for being a mistress. She lived her whole life in a golden cage she is a princess after all, I do understand she wants to get the status of free women. She wants to get an education in painting because she wants to learn how Athelstan did it. While saving Kwindreth Aethelwolf gets hurt in a bad way if he wants to take the key for the door to get to Kwindreth. The armies of both Wessex and the ones who are capturing Kwindreth are on the way while doing the free attempt. The two guards of Kwindreth are on a mission to kill Kwindreth. Magnus is in the same room under a blanket. When Aethelwolf finally kills the last guard the only thing Kwindreth is telling him: "what took you so long?" Of to Paris where we get training by Rollo in having a water war. Rollo the pleaser to Gisla is somewhat funny but it is also a shame of Gisla to not fall for the charming try of Rollo. He wants to change for her when will she realise he is doing so much effort for her by cutting his hair and try to do his best just for her. Oddo, however, is having a good conversation with Therese. What we see in the conversation is that Oddo is jealous of Rollo and he doesn't know that Therese has an agenda of her own. She is getting the information she needs for Roland. Oddo wants to become emperor someday and Roland wants Oddo's place. Power battle on the way I think.